Kids in London are faced with impossibly high pressures and expectations to succeed - to be seen as popular, stylish, “cool” (whatever that is). At a time when many brands were feeding into their insecurities, promoting style, swag and big celebrities as a way to achieve it. Nike knew they had a harder challenge, but a more rewarding one - to inspire the inner athlete within every youth through the entertaining, empowering, confidence-building ability of sport. 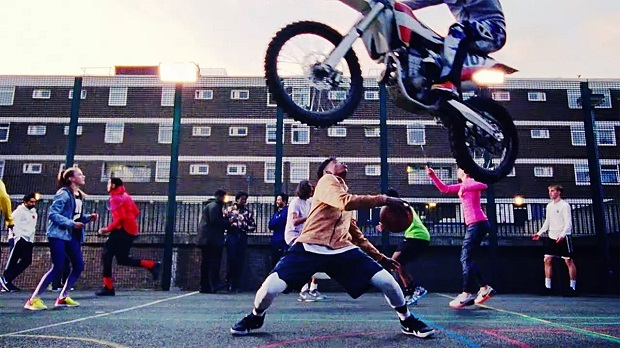 The sportswear giant discovered something special in London’s youth - in a city that challenges you every day, these kids don’t wilt, they use those challenges to become better. They’re determined to achieve the grand ambitions they’ve built for themselves and they do so with the same resilient mindset and swagger that you usually only find in elite athletes. Many Inspiring success stories from these events - e.g. a 15 year old from Grenfell Tower had unbelievable natural talent for rowing - now on a scholarship training program. The target audience of London’s youth revolves around social, so the brand launched a 3 minute London epic through the youth, to the youth, on Instagram. On the day schools broke for half term, grime legend Skepta posted the opening scene of the film on Instagram, complaining about having to cycle somewhere. Chris - a regular kid - replied to Skepta blasting him for being lazy! This kickstarted a battle of one-downmanship across London as one kid at a time commented on the previous one’s post with a film of their sporting hardship. Inspired numerous parodies - Nothing Beats a Birminghamer, A Manc, A Sailor, etc.